The curious case of GOLD - A Gold bubble? Gold price has dropped significantly the past few months hitting a low of $1180 before recovering back to $1235. Gold price was at a high of $1837 in 2011. That is a 33% drop till now. The above shows a 20yr chart of Gold. The recent drop is the worst in 20 years. Back home in Singapore, if you notice, there were already signs that Gold had formed a bubble and a crash is coming. How do i know? The answer lies with more and more people without financial knowledge are investing in Gold. In Singapore, we saw an increase in the number of firms who promise a guaranteed return if you invest with them. These firms typically use Gold as a luring point and attract people to put their money with them. As Gold is a rather safe asset and a hedge for inflation, nobody thought that Gold price will go down. The marketing point was that as long as there is inflation and prices are going up every where, then Gold price would go up also. Before the recent huge fall in Gold prices, some of these firms promising a guaranteed return on Gold investment shut down and the owner disappeared. This left investors stranded and they lost all their money. Examples of 2 such companies in Singapore are Genneva Gold and The Gold Guarantee. With cases like this happening, it gives us a strong hint that Gold prices are at unsustainable levels and the bubble might burst soon. Family losing close to a million in the Gold scam? It is really happening. You'll realise some investors are old people and most likely they do not know anything about Gold. Its quite saddening to see how people lost all their savings and money to firms like this. It is important to have knowledge and educate yourself on the financial instruments before investing. You'll save yourself from all these scams. Then the question is why would people invest their hard earned money with these institutions? Most likely is due to greed of having higher returns. These institutions can promise a guaranteed return of more then 10%p.a. In the first year you may get your returns as promised but the next following year, they may disappear along with all your money. The next bubble? Maybe housing bubble in Singapore and some parts of Asia. No one knows for sure but i do know that more and more firms are into property investments similar to the Gold case. This is something to be aware of. These firms are promising 12% return PA investing in properties. Watch out for similar scams like this. Saw this video and thought it would be good to share with readers of this blog. Its a really meaningful clip. Enjoy! In Part 2, i will show you various scenarios of how a person wealth can increase over time if he invest and also how a person's wealth can decrease if he doesn't invest. This comparison shows two person, one who doesn't invest and the other one invests. 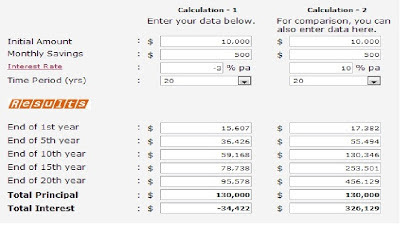 First person as seen in calculation one has their money eaten up by inflation (3% average inflation rate for Singapore). By the end of 20 years, his money is almost halved. It takes approximately 23 years for your money to shrink by half if inflation rate is 3% on average. 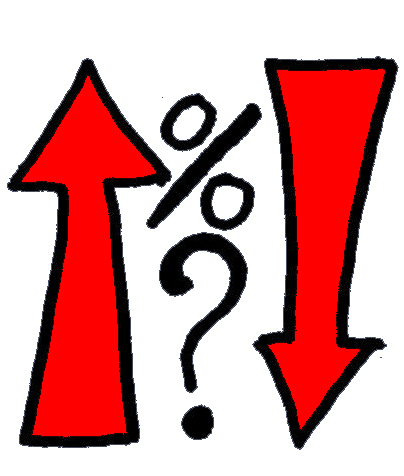 Person 2 invests his 10k at a annual return of 10%. By the end of 20 years, his 10k has increased to $73281. That is 7X in 20 years. 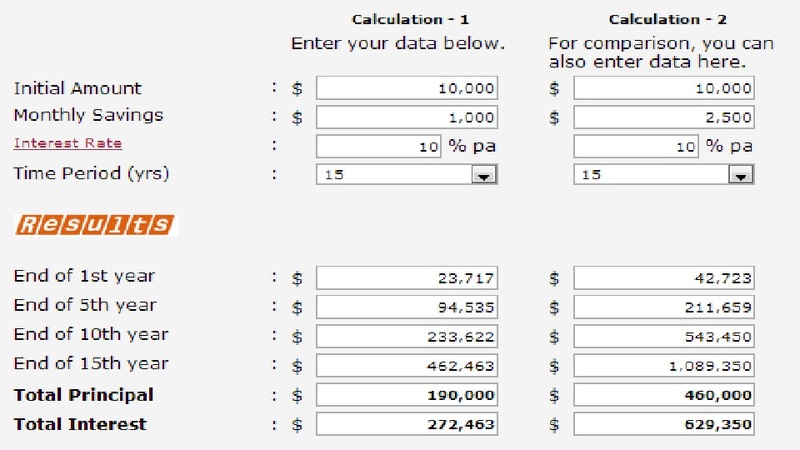 2nd scenario: Two 25 year old starting out with a capital of $10000 each and saves $500 monthly. Person A who does not invest will end up with $95578 when he is 45 years old and person B who invest at 10%p.a ends up with $456,129 at age 45. That is 4 times more as compared to a person who doesn't invest. 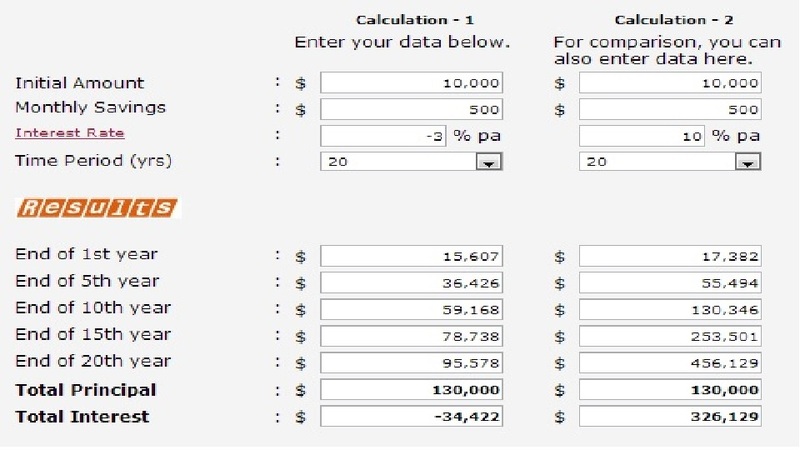 Even though person A saves $1000 which is double of person B, he still has lesser money than person B who invest. This shows that even if you save more but don't invest, you will still be worse off. That is the reason why some people who save and spend little are still poor when they are older. How do you become a millionaire in 15 years? 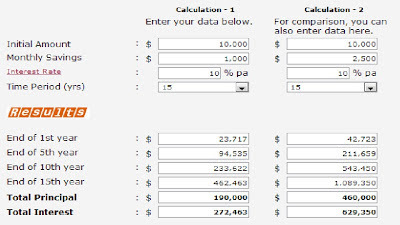 If you start at 25 years old with 10k, you can be a millionaire by age 40. Just save $2500 every month and invest at a return of 10%p.a. Is it possible to save $2500 every month? I would say its quite hard unless your income is very high which is unlikely if you're in your 20s. The solution? Increase your investment rate of return to more than 20% p.a and you just need to save roughly below $1000 and invest it. To be rich, learn to increase your investment rate of return and save more. If you can achieve both at the same time, then you'll shorten the time to be a millionaire. If you do not invest above the rate of inflation which is 3%, then your savings will shrink due to inflation. 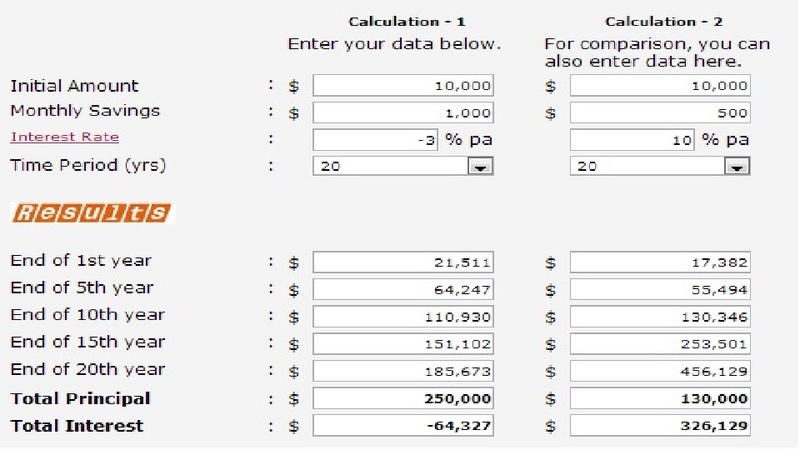 This means if your investment return is 24%p.a, your money will double in just 3 years compounded. To find out how long it takes your money to halved due to inflation, use 70 divide by the rate of inflation. For eg, 70/4=17.5. This means your money will devalue by half in 17.5 years if inflation rate is 4% on average. Why Singapore REITS are on a downward fall again? This is getting unbelievable as reits has fallen over 20% in the last few weeks. 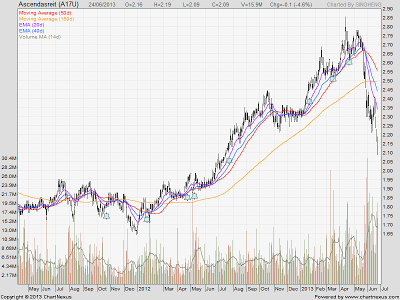 Today the top declining reit is Suntec with a fall of 4.56% in a single day. They do look like they are jumping off a cliff and still in a free fall mode. 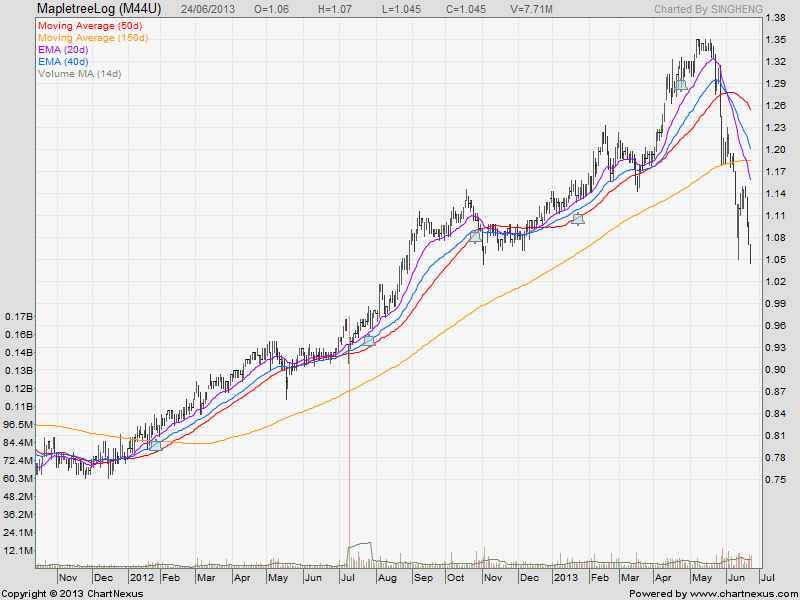 All of the big names like suntec, mapletree are officially below the 200DMA which is the long term trend line. Why has it fallen so much? This is mainly due to the concern of an increase in interest rates in the US. In fact if you track the interest rates in the US, it has already risen by a lot. Even interest rates in Singapore are rising. REITS are highly leveraged in a sense they borrow a lot of money sometimes about 30% of their equity. Once interest rates goes up, they are faced with higher loan interest payable. 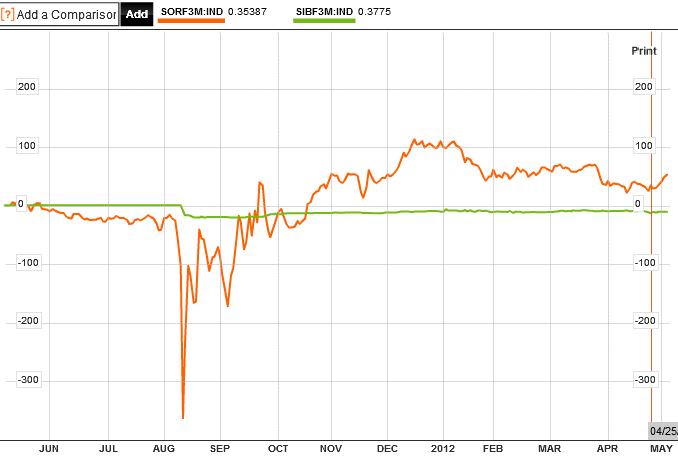 Two rates to track in Singapore is the Singapore interbank offer rate (SIBOR) and Singapore Swap Offer rate (SOR). Bonds are being sold off aggressively both in the US and Singapore causing yields to go up. Bond prices and yields move in the opposite direction. This is the rate that banks lend to each other. Local housing loan interest rates track movements to the SIBOR. If this is increasing, home loans interest rates are increasing in Singapore also. Those taking up a housing loan have to watch out. Either take a fixed rate loan or take a loan from HDB which offer a fix rate at 2.6% currently. This is the average cost of funds used by banks in commercial lending. In Singapore most banks offer housing loan packages either pegged to the SOR or SIBOR. This is like a "cost price" to them and they add a margin to earn a spread. The essential cost of the rising interest rates globally and in SG is the potential ending of QE in US. Quantitative Easing - how it affects the economy and the stock market? Elsewhere in the biggest asian country, China, they are facing a possibility of a credit crunch. There are fears that the china banking system may run out of cash soon and face liquidity problems. Shortage of funds cause banks to raise interest rates. China key stock index closes down 5.30% today as reported by channel news asia. The recent market correction is an opportunity for bargain hunting of good stocks. Choose stocks which are not highly leveraged on debts and have cash to invest and ride on the recovery in the economy. Examples are shipping and industrials. In fact, banks will also benefit from the increase in interest rates as they can charge a higher interest rates on their loans and transfer the risk to borrowers. The only worry is that there will be people who will default on their loans due to over borrowing. 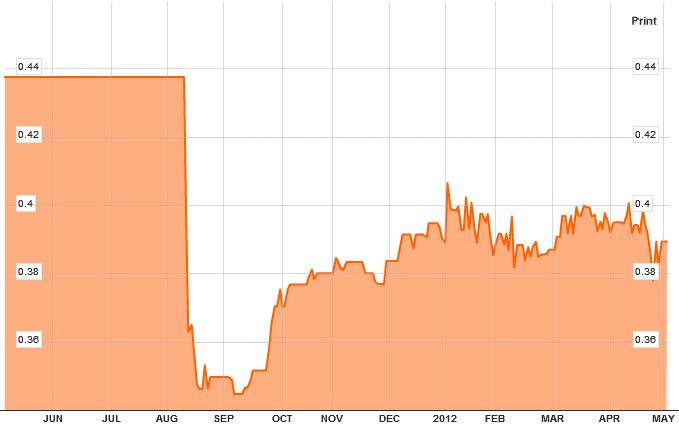 I have been anticipating this interest rate movement since last year. This is a good experience for me to see what happens and learn from it. Looking back at how I have lived my life for the past 3 years, I am happy at where I am today. 3 years ago while I was still in the army, I was still clueless on how I want to live my life after army. Thinking back, I think the toughness of life in army and a lot of free time made me really plan for my future. It was at this time where I started to pick up reading books and is still an enjoyment for me until now. It was also at this time where I discovered my passion for finance and investment. I had already found a job 2 months before I ORD (come out from army) and started working straight after that. I started digging deep into investment and was actively monitoring and buying stocks. That was around the year of 2010. Well, I'm still at my same job, started part time studies for a degree in economics last year, still investing actively, reading financial reports and sourcing for companies to buy in my free time and actively blogging just this week. On top of that is a social life of meeting friends for meals and hanging out. This hectic lifestyle has taught me the importance of planning my time as I constantly have deadlines for assignments, work commitments, exams to balance. I do hope to graduate soon and have more free time. Once I graduate next year, I'll be able to rearrange my life and focus on more important things. The journey of investing has really taught me a lot of things. I started out with the intention of making fast money but now I focus on building my portfolio and investing for my future. I have a plan to accumulate 1 million before the age of 40. The power of compounding works better when you have a big base. For a person who has 10k, investing 10k to become 20k is 100% return. But for a person who has 1 million, investing 1 million to become 2 million is also just 100% return. Investing early has its benefit as I can accumulate while I'm young. Time is on my side. Not many people start out with big capital therefore most of us have to start young. It is a journey that I'm always learning and setting achievable goals as I go along. It is more important to enjoy the process. I will write down my journey in this blog and this serves as a memory for me as well as learning point for myself and others. I do know there are other financial bloggers out there who are walking this journey towards financial freedom together with me. There are others who have already done it and it serves as a motivation for me. The next company i'll be analysing is NOL. This is a shipping company and since i've been talking about shipping companies turning around if the economy recovers, i'll put it in this blog post. If you pass by the singapore shipping port near tanjong pagar area and harbourfront, you'll see a lot of APL containers. Due to the crisis in Europe and the financial crisis in US, import and exports around the world were affected badly. 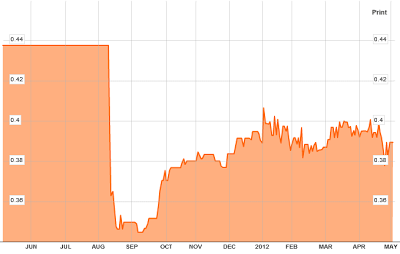 NOL has been in a net loss for the past 2 years from 2011 to 2012. Temesak holdings, a government linked corporation is still one of the largest shareholder in NOL. As i said earlier, NOL is in a net loss at the moment. In 2011, net loss was 478 Million and in 2012, net loss was 413 Million. You may be scared by the losses this company is incurring but in actual fact, shipping companies go through cycles and during low growth or recession periods, most of them are in losses. Only those big companies can survive through the storms and emerge out again. In 2009, NOL was also in a net loss of 739 Million, much higher than the loss currently. However, in 2010 when the economy started to recover, it swung into profit of 464 Million. Let's fast forward to Q1 of 2013 where NOL reported its financials for the period ending 5th April. It has turned into profits with a net profit of 76.5 Million for Q1 of 2013. If the next quarter it reports profit again, i would think that the shipping industry is on its way to recovery. NOL shares are trading at $1.09 now. It was trading at more than $2 before it collapse to the level it is now. 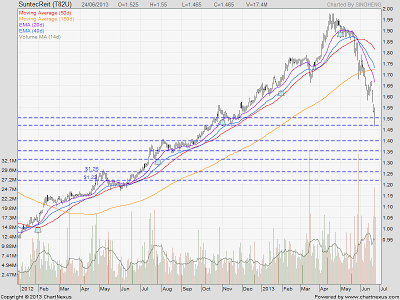 A strong support is seen at $0.90 to $1 as the stock has bounced from this level a few times. This is quite a risky investment as the various valuations methods do not work anymore. 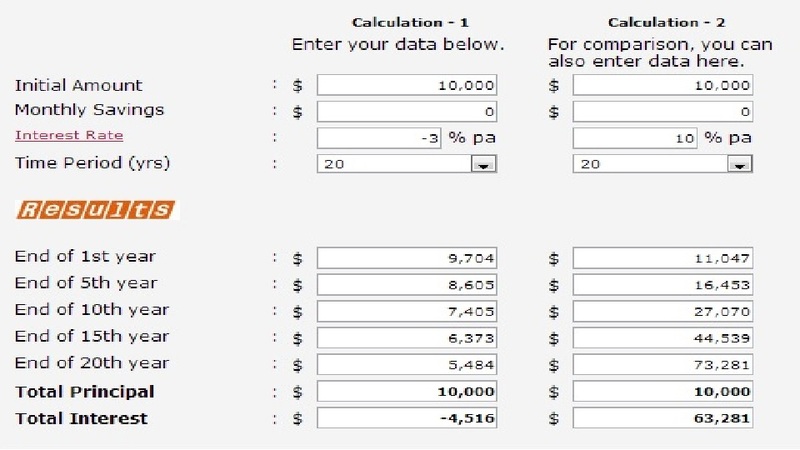 There is no p/e ratio, no intrinsic value to calculate and negative roe. The growth of this company will depend a lot on the economic conditions especially in the US and Europe. I am watching this closely and getting ready to ride on the recovery. Investing at this junction requires risk management and a lot of guts too. It is really a bet into the future. We will see how the economy develops and whether this bet on the shipping recovery will be correct. I think it may take at least 1 more year for it to fully recover. Investors will buy in early anticipating the recovery. Remember, the stock market is always ahead of the economy by 6-9 months. When will the STI rebound? I was looking at my charts on the STI and saw some similar trends compared to the past 3 years. The left circle in red was the decline in 2011 during the European financial crisis. 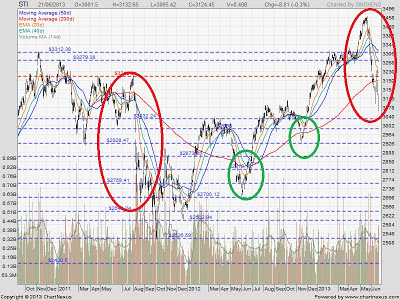 The right circle in red is the decline recently. STI has officially fallen below the 200DMA and this is called a technical bear market. When will a rebound most likely happen? Will stocks continue to decline? This is something that nobody can predict and even the best investors in the world will not be able to know. I can only make the analysis and plan my next step. I have the shorter term EMA(20 and 40) to help me decide on an entry point. 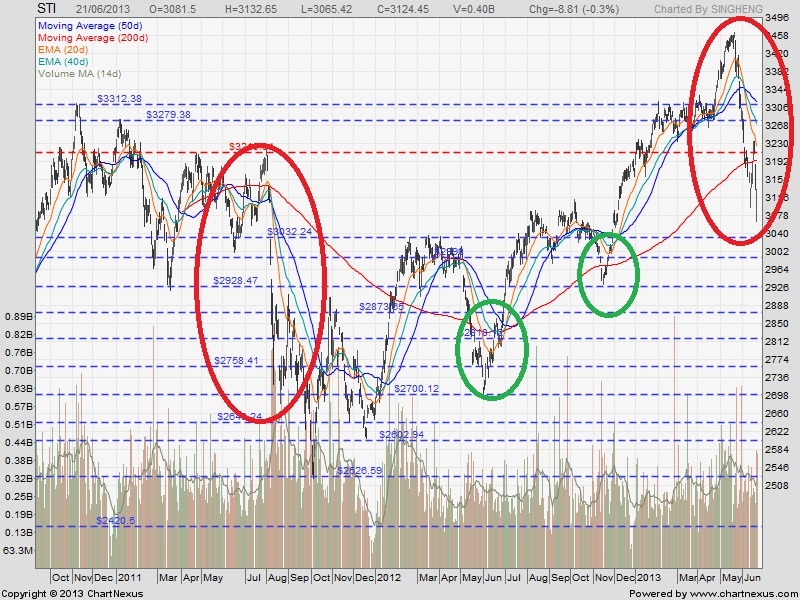 The ones i circle in green are occasions where the STI broke below the 200MA and went back up again. The shorter term EMA is able to detect a trend change quite accurately for the past 2 sessions. That being said, it is still unpredictable and this is only a way of minimizing risk. 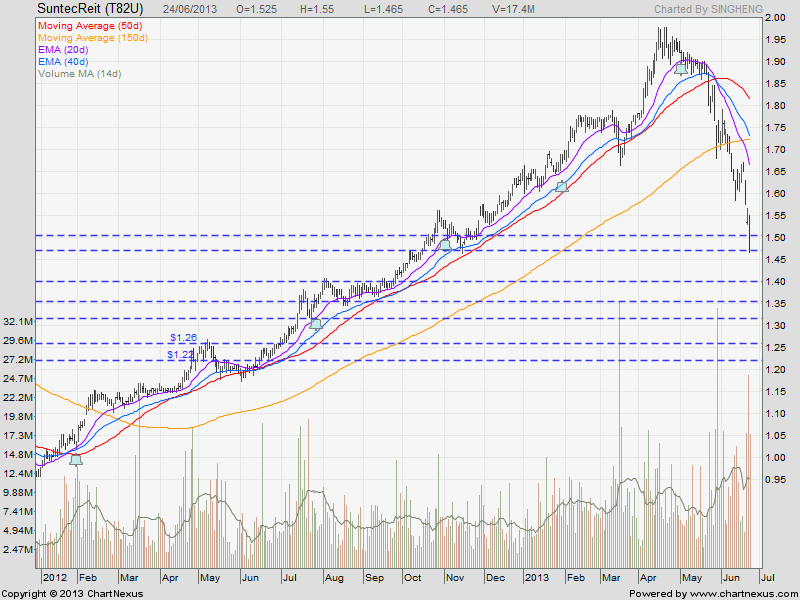 Even if i buy in, i will divide my capital into 2 tranches and buy in half first when the trend changes. 1) Stock market reverses from its correction and resumes the uptrend. 3) Stock market crashes and goes down lower. Remember to have a plan no matter what the outcome will be. If your style is to cut loss then do that. If your style is to buy in and average down later, then do that. Not one strategy will suit everyone. Each person has to find his own suitable strategy and implement it. I do hope the market will go lower as its still at the top of an uptrend. If it goes lower, then the risk of buying in is even lower. Let's see what will happen the next few weeks and prepare ourselves for the next course of action. Invest safely and have a great weekend! The dow jones index drop 323 points yesterday closing below 15000. 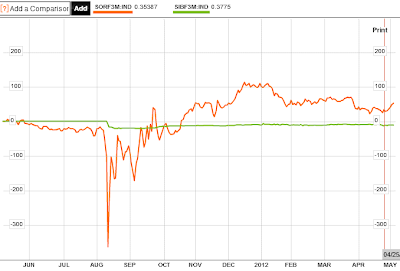 This confirms the market reaction to the Federal reserve statement to slowdown bond buying and end the QE by mid 2014. The worst hit are the banks with goldman sachs dropping more than 3.5% in a single session. Asian markets followed suit with most asian indices declining sharply. Singapore's STI is down -55 points which is a 1.8% decline. Yesterday STI closed down -80 points, one of the worst session after the europe crisis. The worst drop I remembered during the European crisis was STI declining more than -100 points in a single day. There may be worst drops during the 2008/09 crisis but during that time I have not started investing yet. So what will I be doing now? I would wait for the decline to bottom out first before I start to buy in. Using technical analysis, we can analyze and choose a better entry point. After years of research, I have developed my own plan of choosing an entry point and also an exit point. Having a plan is important as it helps me to know what I am doing and not be so affected by emotions during the ups and downs of the market. Using a combination of moving avarages (MA) and exponential moving averages (EMA), I can draw out my short term and long term plan. Typically I use the 20 and 40EMA for short term trend and the 50 and 150. When the shorter(20) EMA crosses the longer(40) EMA, it signifies a trend change. Same for the 50 and 150MA. Technical analysis is not perfect. I choose to make it simple by just using the MAs. There are far more complicated indicators like stochastic, MACD etc that traders use. I do not use these indicators most of the time. I find that finding a strong company to invest in is more important. Reading company's financial statements, analysing its business model, knowing economics and reading news is part and parcel for investors. If you can find a good company and buy at undervalued prices, the chances of it going up is very high. Market crash or correction? You decide for yourself. *PS: Read on my previous post on Quantitative Easing (QE) to find out the opportunities that I discuss on. A 2 day fed meeting ended yesterday with US federal reserve chairman Ben Bernanke concluding the meeting. This is a very important news every investor was waiting for as it determines the next step of action for most investors. So why was it so important? The discussion was on the hot topic for many years: QE. Quantitative easing or QE is a bond buying program that the fed has been implementing for the past 3 years. They will go into the open market and buy up bonds in an effort to keep interest rates in the economy low. A lower interest rate stimulates more loan lending activity and thus provides ample liquidity in the economy. The Fed also said that it is confident that unemployment will lower down to 6.5% soon. Currently unemployment in the US is still above 7%. With such strong words, the market got a clear direction and sold off aggressively wirh the Dow Jones index declining 200 points. 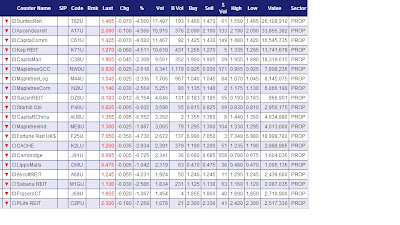 Asian markets are selling off also at the moment with most asian indices declining more than 1.5% and STI declining -68 points currently. With interest rates expected to rise later this year, banks, property stocks and reits are the most affected. Reits and property stocks have already sold off 2 weeks ago and is still on a decline currently. As interest rates rise, loans become more expensive causing lending activity to decrease. Reits have already sold off around 15-20% the past few weeks mainly because institutions like goldman sachs are selling. Why are these institutions selling off? The reason is most institutions borrow money at low interest rates to buy into reits with high yields. This is called a carry trade. As interest rates rise, the value of yield asset reduces as institutions have to pay higher interest rates. My view on this is that the sell off is an opportunity to pick undervalued stocks at a bargain. Interest rates will only rise when the economy starts picking up. It is actually good news but the market sees it as bad news because we have been so reliant on a low interest rate environment for many years. Since we know that the market is always irrational in the short term, this gyration now presents a perfect opportunity for investors who know how to pick companies to buy. As the economy recovers, cyclical stocks like shipping, industrials and banks will perform well. Most of the sectors that have underperformed in times of low growth will start picking up from here. During recessions and periods of low growth, defensive stocks like medical, telcos, reits tend to outperform the rest. Now the tide is changing. As the US economy recovers, import and export activity will start to increase. This will benefit shipping companies greatly and many will turn to profit from loss currently. Dry bulk shipping has seen shipping rates picking up as the baltic dry index (BDY) gradually increases from 790 to 995 currently. The index was at a high of 9000 before the financial crisis in 2009. Apart from the economic news, the main news that encompass our lives in Singapore now is the haze condition. For the past 3 hours, the PSI reading has been above 300. Please take care of your health and stay indoors as much as possible. One more day to the weekends. Have a great week ahead and invest safely! Today Singapore's haze condition made a record breaking point. It was 290 as at 9pm and 321 at 10pm today. A reading of above 300 is deemed hazardous according to the Singapore's national environment agency. The highest was around 227 in 1997. That was a long 16 years ago. The condition is really bad with everyone feeling the impact. My facebook news feed is all about the haze condition and how people are "excited" over the record breaking history. There are people wearing mask on the streets and public transports and I guess tomorrow there will be more people doing that. The situation now made me thought about a link to the stock market. In times when the stock market made a new record breaking high, more and more amateur investors will want a part of the game. When the market is very hot, everyone is talking about the stock market and telling stories of how much they made through investing. Even uncles and aunties at the hawker centre are talking about it. This is a time when the market is getting irrational and stocks are extremely overvalued. It is also a time when savvy investors start to sell and take profit slowly. Once the euphoria is over, the market crashes and everyone is in a panic. This has happened everytime throughout history. Every crash begins with extreme optimism. The 2008 financial crisis which caused lehman brothers to fall was also built on extreme optimism. Housing prices in US kept breaking record levels and everyone got into the game which made housing prices rise to unstainable levels. Again, when the market crashes, everyone on the street will talk about it and how bad the situation is. When extreme fear sets in, it is also a time for savvy investors to buy fundamentally strong companies at sometimes extremely undervalued prices. Are you prepared to profit from the panic and guard against extreme optimism? Start by improving your financial knowledge and be ready at all times. After many years of reading books on successful people, I've more or less discovered the difference between how the rich, the middle class and the poor manage their money. A big portion of this analysis comes from the book rich dad poor dad. I will add in examples in context with the life in singapore. Most of the poor spend all their money and they don't even have enough to live by. A small portion of them will have some left over to save. However, the money they save are mostly in a bank account which gives a tiny interest rate of 0.05% pa. If you live your life in this manner, it is impossible to be rich. As you can see, the middle class are generally highly educated and they can earn a high income. However, without proper financial management, they take on debts and never pay their credit card debt on time. Interest on credit card debt can become uncontrollable if compounded over time. Most credit card interest rates are at 24% pa. That means your debt amount will double in just 3 years. Again, some middle class people will have savings. 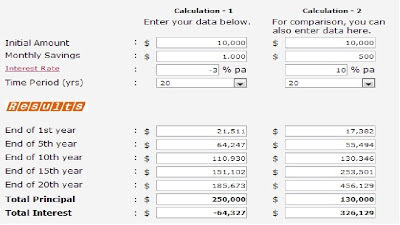 But they just put in a bank or some fixed deposit which only yield a tiny 0.05% pa for deposit accounts in Singapore. First, the rich will strive to increase their income. They will seek multiple sources of income instead of relying on a single source. They will create passive income for themselves through investing in stocks and property. Second, they will not take up unnecessary debt so that their expenses can be kept to a minimum. In this example, this person saves $4437 per month. He saves $53244 a year. Let's say he invest this amount and has a return on investment of 18%. His money compounded over 4 years will become double to $106488. Thirdly, the rich invest their money. That's a common link I found between all the rich people. This is how the rich grow their money. 4) Do not take on bad debts especially credit card debts. If you have a credit card, do not over spend and always pay on time. In part 2 of this series, I'll write on how you can become a millionaire by investing and the power of compounding. Also on the reverse, how you will become poorer by not investing and how inflation erodes your savings. How did i even start this investing journey? You can read my About Me page by clicking on the tab above to read how i started my journey. In this blog post, i hope to answer this question in a simple and clear way so that readers can understand. 1) To start investing, you must have savings. If you do not have the habit of saving, start by putting aside a monthly amount to save. Savings will be more important than investing at the start. I wrote an article on it here: Why extreme savings is more powerful than investing? 2) Sign up for a brokerage account. I realised many people do not know where or how to sign up for a trading account. 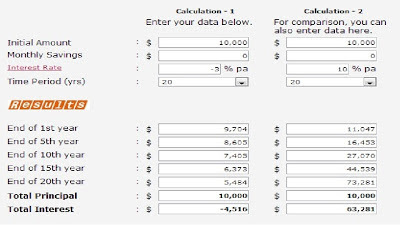 A trading account allows you to buy shares of companies in the stock market. I personally use citibank brokerage and limtan securities. You can click on the link to check out the commission charges of each one. Opening an account is free. You can sign up for it anytime. 3) Attend seminars or read books on investment. There are free investment seminars out there which you can attend. One good provider is Singapore Exchange(SGX). Yes, in Singapore, the stock exchange actually organises free beginner investing lessons for the public. You can also read up websites that the singapore government links with to improve the financial literacy of Singapore. Many people also ask what is the stock market? The stock market is actually a financial intermediary. In laymen terms, it is the middle man. This middle man connects the buyer( who want to buy a share of the company) and links it with the seller (which is the company itself). When you buy the stock of a company through the stock market, you are effectively one of the owners of the company. They are called shareholders although most of us are small ones. These are the basic steps to get you started. Some of the websites recommended above not only teach you about investment but also on personal finance, ie things to take note when taking up a housing loan. If you're ready to learn even deeper, check out this REITs masterclass on Udemy which I've collaborated with Chlorophyll Inc to bring to you a comprehensive online course on Reits investing. You can also preview some parts of the course for free here. Thanks and wishing you all the best in your journey towards financial freedom. I would like to start a series of analysis on individual companies. The recent stock market correction presents an opportunity for us to buy fundamentally strong companies at cheaper prices. My analysis on the companies will focus on the business aspect of the company and how it is run. Today, i'll start of this first session with a company named breadtalk. This is a company that i find has been successful and has the potential to expand itself more. The man who started this business is George Quek Meng Tong. He's also the chairman of the board of directors at breaktalk group currently. Breadtalk started as a small pastry shop selling bread with pork floss as a filling. An example of it is shown below. Many of us in Singapore are familiar with the breadtalk brand and have seen its bakery shop every where in Singapore. But they do not just have the breadtalk bakeries. They also have other flagship stores under their group. Other names include toast box, the icing room, Ramen play, Din Tai Feng, Food Republic and Carls Junior in China. Business operations spread across 15 countries in Aisa and the middle east. The profit margin for breadtalk is relatively small mainly due to the high rental cost they incur from their premises. 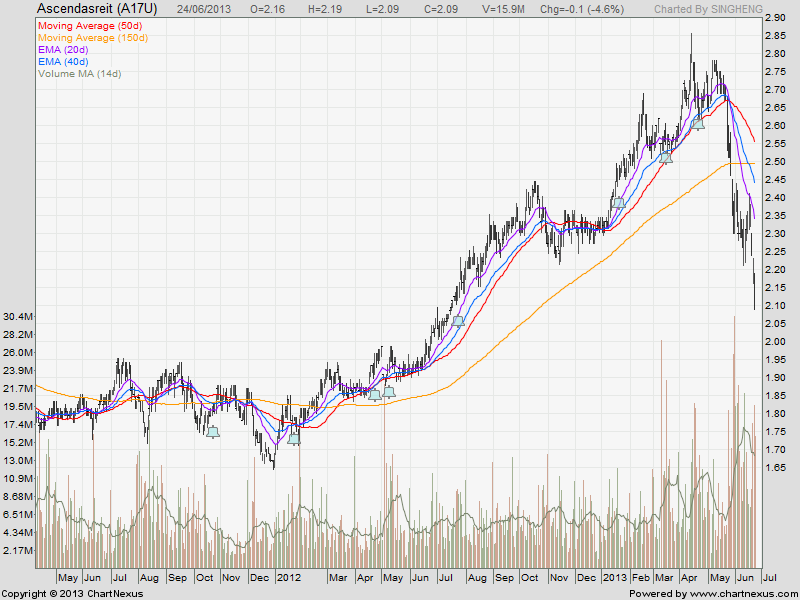 This stock i would think of it as a growth stock as the dividend yield is only around 2% last year. It is trading at a stock price of 0.89 as of friday's close. The stock price has gone up from 0.33 in 2008 to where it is now. That's almost 3 times of its price in 5 years. However, their PER is relatively high. Unless they can really increase their profits, this stock is quite overvalued. I forgot to mention that recently, they have bought over a traditional pastry shop called Thye Moh Chan. This shop sells traditional Chinese pastries as shown below. I would think that if breadtalk continues its expansion, its potential is endless. Recently, they have moved to its new HQ at upper paya lebar road. There they have a R&D centre and it also house their central kitchen, automatic manufacturing line, offices, breadtalk bakeries and restaurants. It shows me how serious they are with their business and they will definitely have more business and will become even bigger in the future. 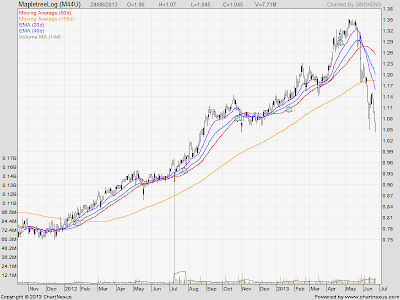 I would wait for a lower price to buy the shares of this company and ride on their growth internationally.